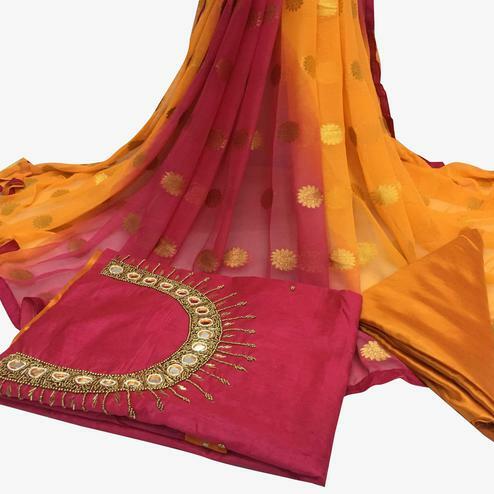 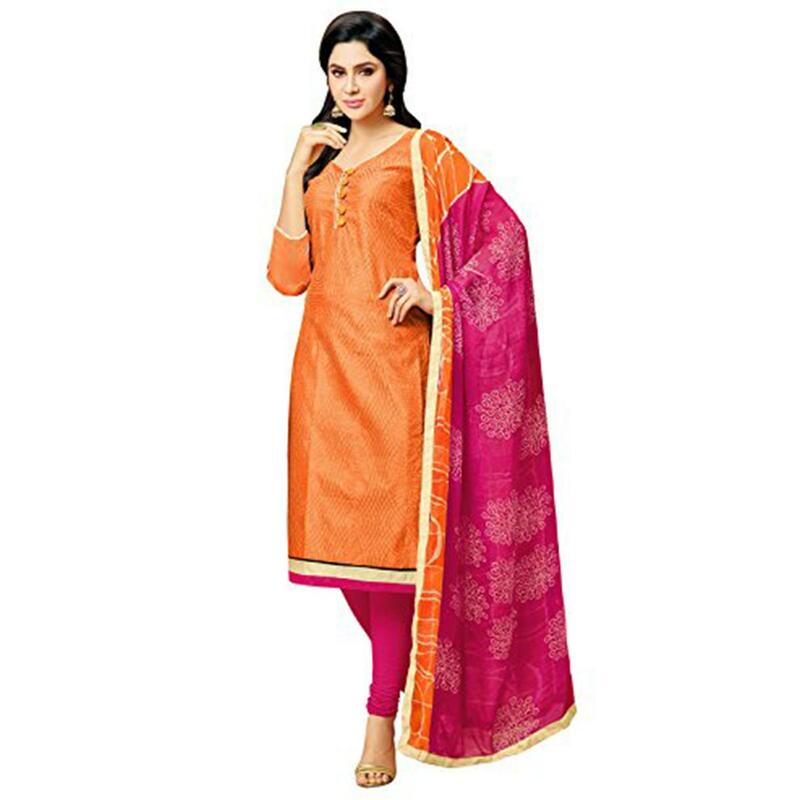 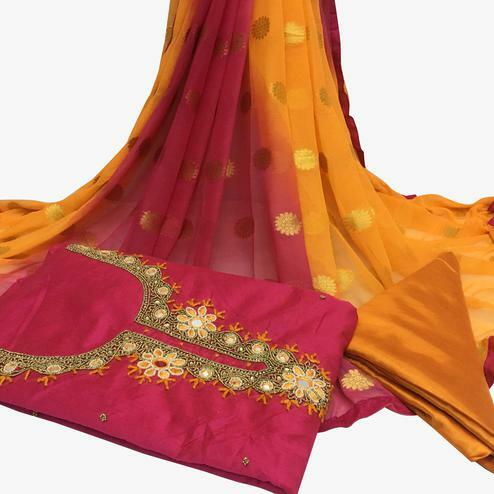 Orange - pink dress material featuring chanderi fabric kameez having button placket and lace work at hemline. 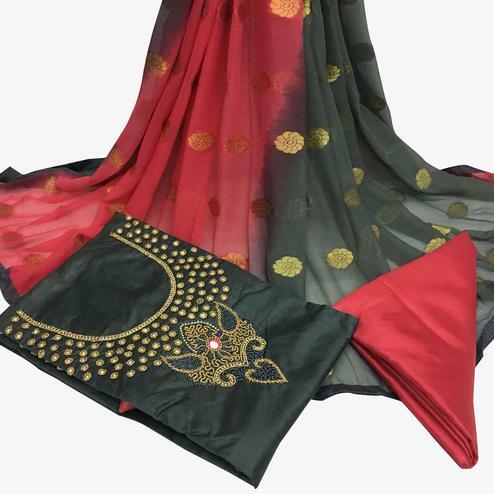 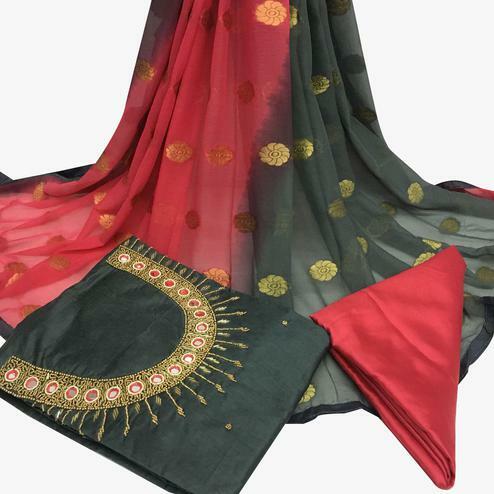 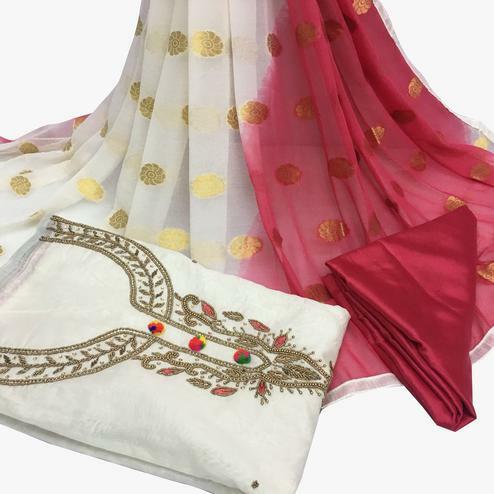 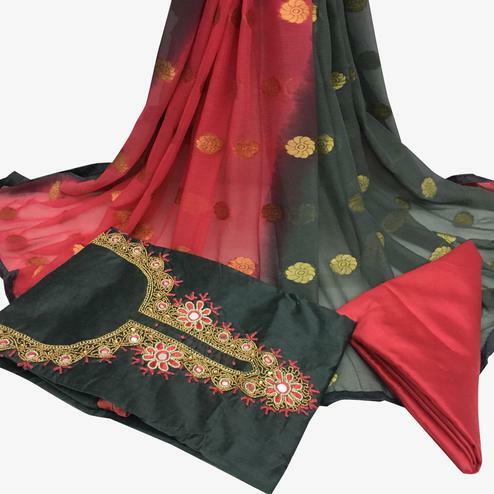 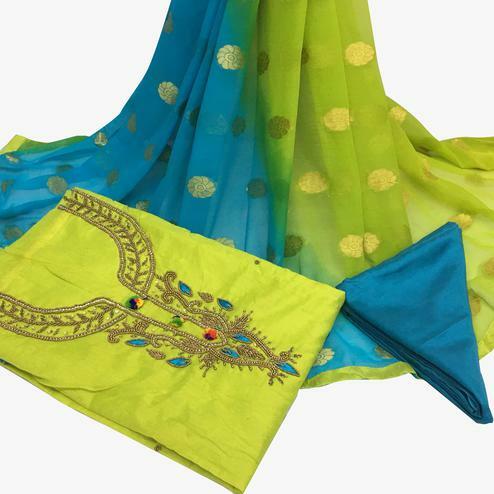 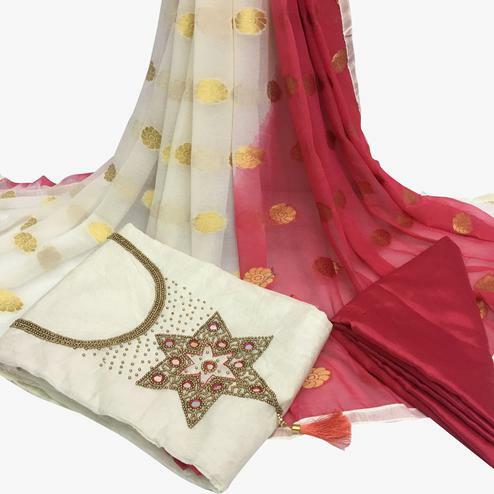 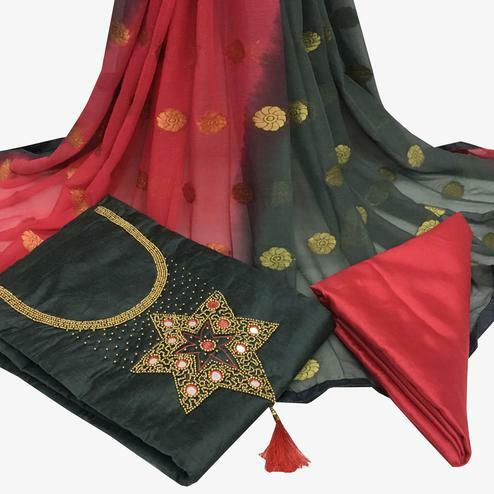 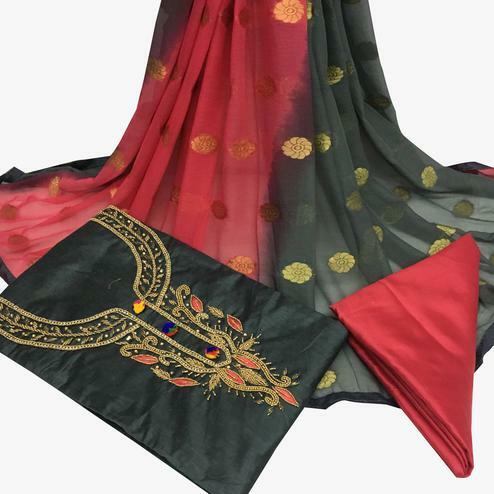 Available with plain cotton fabric bottom and chiffon dupatta detailed with print and lace work. Get this outfit stitched as your per desire and wear it for your next social get together.